Have fun while you learn to dance with UK Accredited teacher Amanda. Exercise, reduce stress and socialize the Latin Fever fun way. All classes are run on a ‘drop in' basis, so you may start at any time. You are welcome with or without a partner, as we rotate partners during classes. In a relaxed atmosphere we teach New York crossbody style salsa with structured classes taking you from beginner level through to improver/intermediate. 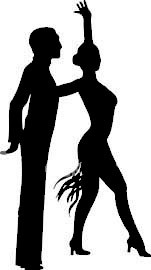 We incorporate in our teaching, leading and following techniques which will give you the fundamental building blocks to dance any style of salsa around the world. Party Nights are held throughout the year. See Events page for further details.